I have been waiting to share these pictures with all of you. 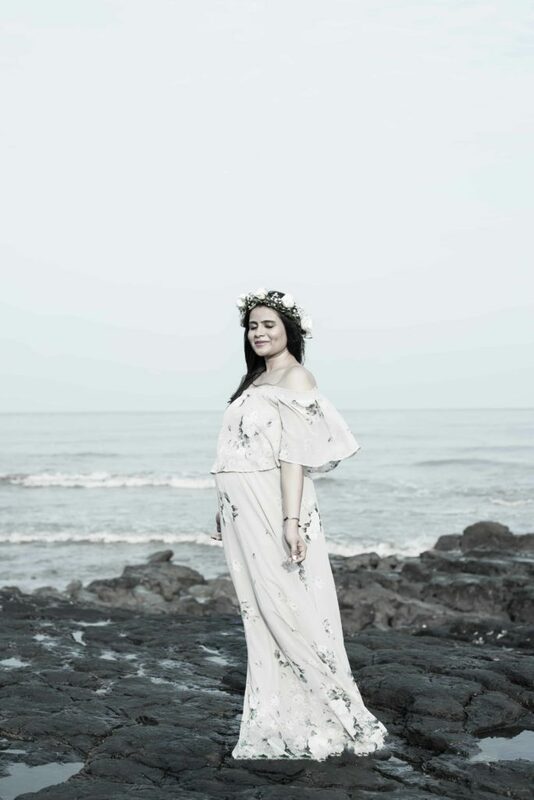 I am 26 weeks pregnant in these pictures and these are extra special, because we shot them in Bombay, my hometown! 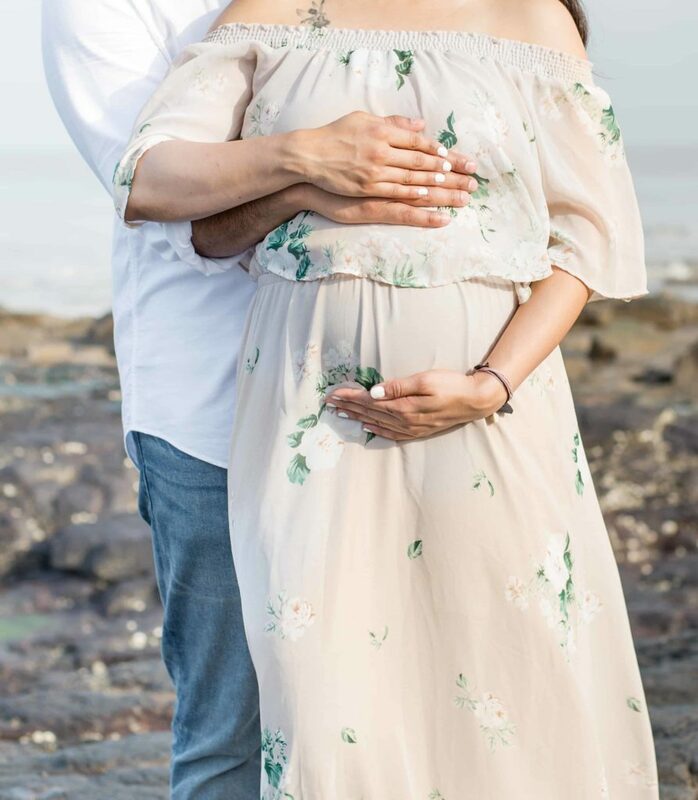 We had taken a quick, last-minute trip to Bombay last month and decided to capture some moments of this beautiful phase of our lives in a city that is so close to my heart. 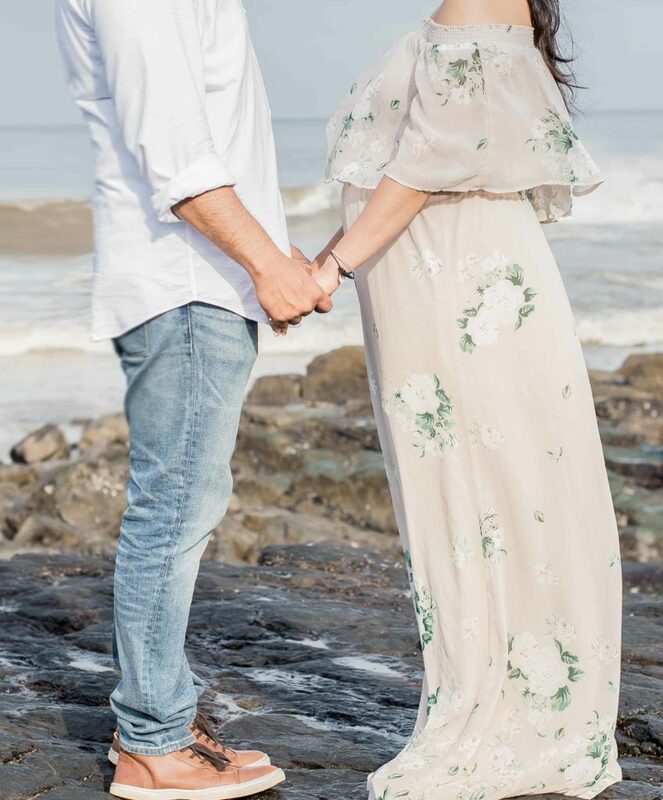 It was a monsoon season morning, the rocks were slippery and the sun was playing with us – but my brother (who accompanied us for the shoot) and Amit, both literally held my hand all the time, as I wobbled over the rocks and tried to keep my balance. I was almost in tears ( which come so easily these days) with so much love enveloping me. I know that we’ll forever treasure these moments and love looking at these pictures in the years to come. Outfit details : Show me you Mumu dress – also comes in a halterneck and sleeveless maxi style. It is also our sixth wedding anniversary today! So sharing these pictures of a new, beautiful phase on this special day brings me extra joy. Amit and I have known each other since our undergrad college days, have been together for almost twelve years and I cannot wait to spend a lifetime ( and more! ) with him. Beautiful shoot, beautiful you. I wish you are blessed with a beautiful child. Such a lovely pictures and outfit!! So elegant and inspiring! This shoot turned out SO gorgeous! Love these beautiful moments! You look gorgeous! 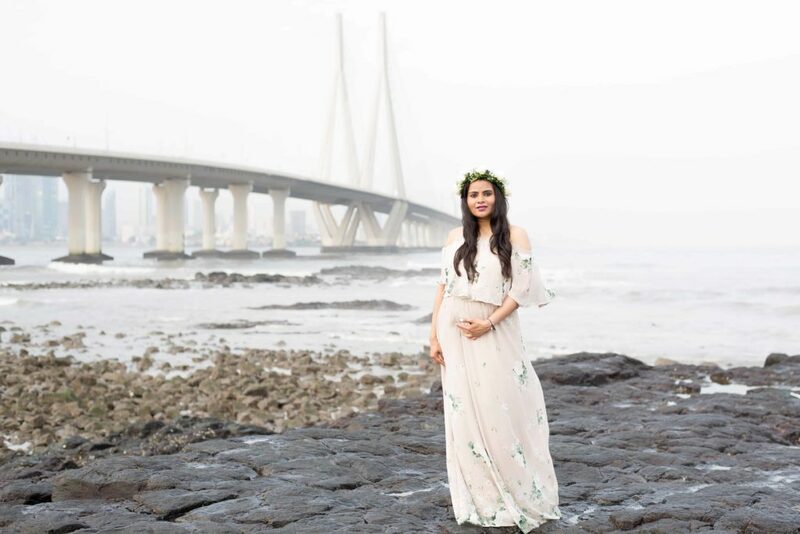 Love your dress and baby bump, Neha! You look super cute! 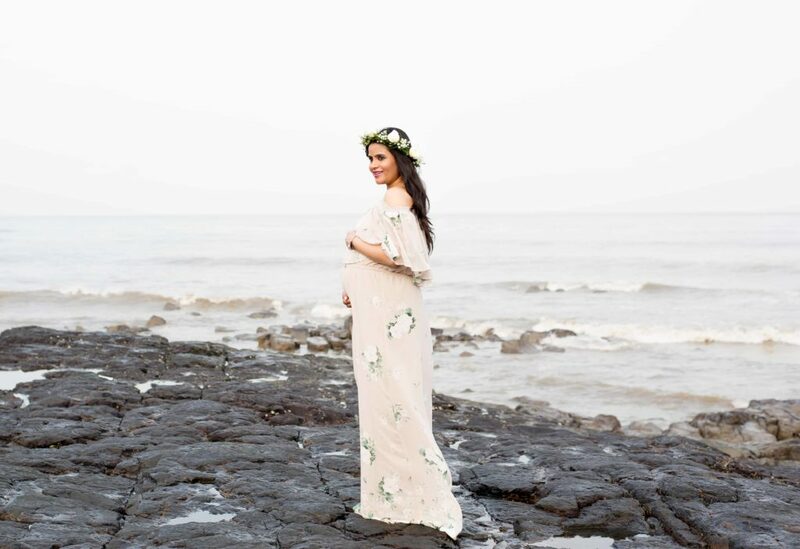 Perfect maternity shoot in Mumbai, India. Lucky you! Stay fabulous! aww thanks, Len. those are such sweet words. Wow! You’ll remember these moments forever now with these gorgeous pics. Love the dress! What a beautiful shoot! You look amazing in this gorgeous dress! Thank you so much, Jessica. Such as beautiful shoot. Happy anniversary! 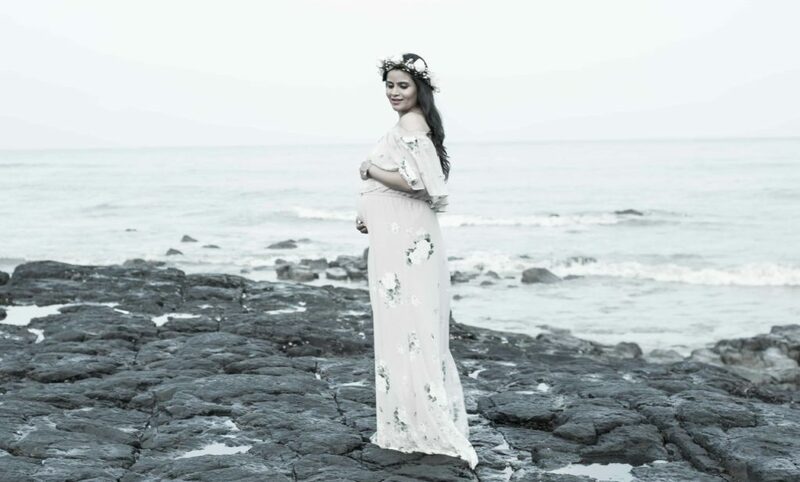 Enjoy the babymoon. Such magical pictures..n Happy Anniversary you guys ..you look so beautiful in the maxi 💓 lovely moments captured here !! These photos are so, so gorgeous! So happy for you and Amit. Thank you so much, Molly. You are always so sweet with your words. hugs. Beautiful dresses, If you need short formal dresses, see homecoming dresses 2017 here. 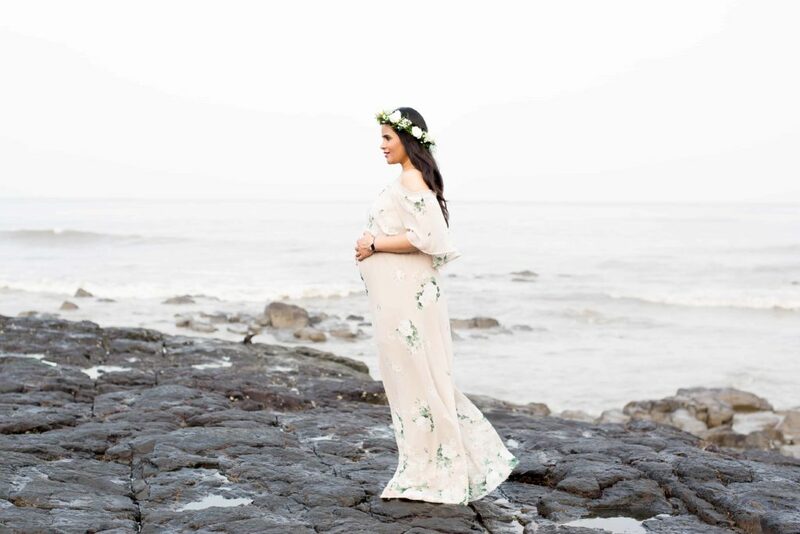 If you don’t mind me asking, what size in this show me your mumu dress did you buy to accommodate your bump?